Julian Castro is the Secretary of the Department of Housing and Urban Development. 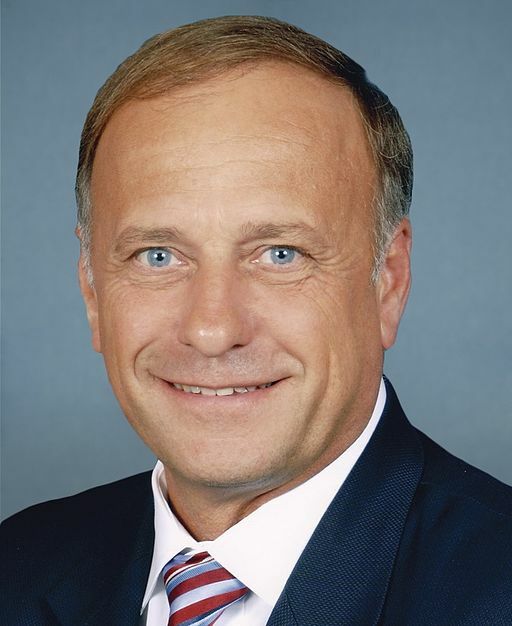 Steve King is Republican Congressman representing the 4th Congressional District in Iowa. No one to our knowledge has ever challenged the Latino heritage of Julian Castro, a three-time former mayor of San Antonio and the son of a Chicana activist who helped establish La Raza Unida. Representative King’s Latino credentials are a bit more questionable. King’s claim to fame is his strident stance against immigration reform, probably as extreme as anyone in Congress and competing with Donald Trump for boorishness. It’s not quite the typical profile of someone of Hispanic heritage living in the U.S. The prompts for King’s tweet seem to have been two from @ImmigrantNacion, one that cited Castro as having said that the Republican Party “can kiss the Latino vote goodbye,” the other specifically directed at King calling for comprehensive immigration reform. Perhaps King decided to take aim at Secretary Castro because Castro has been mentioned in various places as a potential vice presidential running mate for presumptive Democratic nominee Hillary Clinton. For nonprofits, however, the significance of King’s questioning of Castro’s ethnic heritage may also be a not-so-subtle attack on Castro’s track record at HUD. Maybe King implicitly fears that HUD’s new attention to housing discrimination might include protecting the Latino immigrants about whom King has said so many unkind things, including calling them dogs. Just last week, HUD charged the owners of a 36-unit complex in Sioux Falls, South Dakota, with discrimination against a person with a disability due to the landlord’s imposition of overly burdensome requirements on the resident’s use of a support dog. In June, it did the same against the owners of an apartment building in Salt Lake City. In Miami, HUD took action against the Alta Vista Townhomes Condominium Association which had been discriminating against black and Hispanic Section 8 housing voucher tenants due to harassing remarks by the condo association president and taking a number of discriminatory actions such as contriving rules violations in order to evict them. HUD recently reached settlements with the owners of a 200-unit apartment complex in Kihei, Hawaii and a small development in Carson City, Nevada for discriminating against families with children in their rental policies and practices. Perhaps King is conflating Castro’s potential future political career with developments in his home state where the Latino population has increased by 105 percent between 2000 and 2013, but few Latinos hold public office in the state. Last month, Latino leaders in Iowa created the Latino Political Network to train potential candidates for public service. Perhaps King is also upset that Hillary Clinton recruited Lorella Praeli, the former head of the United We Dream nonprofit advocacy group, to be her Latino outreach director—Praeli’s organization may have been perceived by King as the nonprofit that supports those young immigrants with calves the size of cantaloupes.